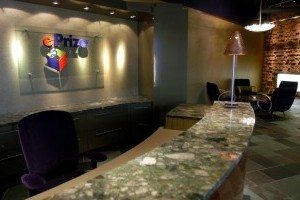 On Monday, Pleasant Ridge, MI-based digital marketing and engagement company ePrize announced it had been acquired by Greenwich, CT-based Catterton Partners. The terms of the deal were not disclosed, though ePrize CEO Matt Wise points out that the company’s backers, including Quicken Loans‘ Dan Gilbert, scored a healthy return on their investments. Wise calls the acquisition a great endorsement of both ePrize and the growing tech community in metro Detroit. Wise will stay on the job, adding that Catterton Partners is coming in not to take over the company’s operations, but to accelerate its financial growth. ePrize will keep its headquarters in Michigan for the foreseeable future, and may eventually relocate to downtown Detroit. “I hope ePrize will be one of many companies spun out of the Detroit tech scene,” he says. ePrize has come a long way since it was founded 13 years ago by Xconomist Josh Linkner. What started as an online sweepstakes startup has grown into the largest interactive promotions agency in the world, providing digital marketing services for 74 of the top 100 brands with hundreds of employees in Pleasant Ridge, New York, Chicago, Seattle, and Los Angeles. I paid a visit a few weeks ago to ePrize HQ to chat with Janice Pollard, marketing and public relations manager, and Jen Todd Gray, VP of marketing and creative services. The company is literally busting out of the former brewery it’s housed in, knocking down walls as its team expands to fill the space. ePrize has a young workforce heavy in tech and creative, which makes the office environment seem part Mad Men minus the boozing and chauvinism, and part Futurama.